So they are moving the top 20 WOW bloggers to round two of Mog Madness– and I was number twenty! WHEW! I barely made it! So I am having to step up my game here big time if I want to move to round three or even come close to being in the top three really. Now, we’re moving on to the wild. The classes are limited to either a Hunter or a Druid and your outfit must be based on using either Marrowstrike or Glaive of the Pit (same skin). I usually always do my screenshots in game, and I would have tried to get the required polearm and other items just to do so. However, we switched to AT&T Uverse this week, and our internet connection has been sketchy at best for the past few days. 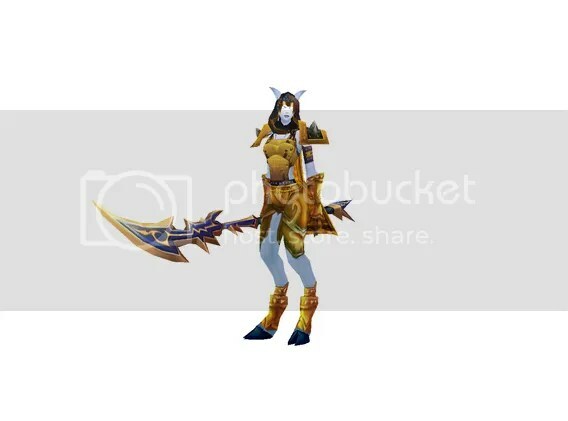 So, I have resorted to downloading WOW Modelviewer and putting my outfit together using that and wowhead.com to meet this week’s deadline. My screenshots are pretty basic this time because I am trying to learn how to use this program…. 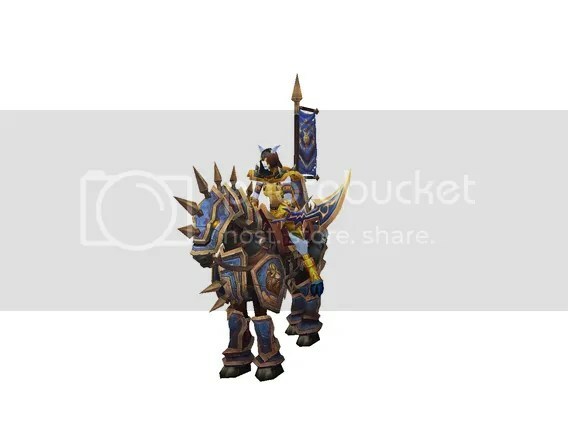 The polearm Marrowstrike had a blue and gold look, and it reminded me of some kind of knightly looking weapon. 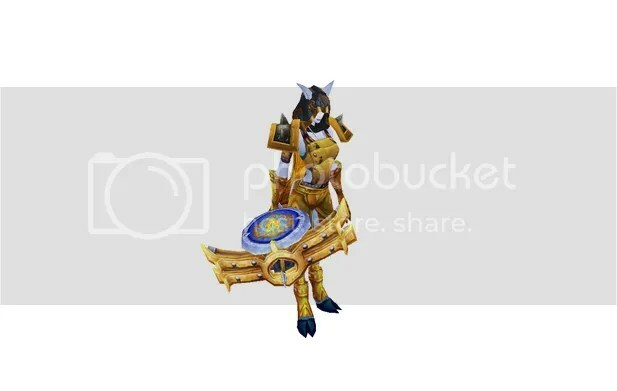 Using my hunter Illayeria, I put together a gladiator/valorous alliance type look for her with blue and gold colors. Oooh, very nice! I like how your character’s blue skin allows you to make a mostly gold outfit with just a few blue accents, and she looks gorgeous!